With over 10 years of experience, no call out charge and free quotations we are here to help you maintain efficient heat in your home. All work insured and guaranteed. 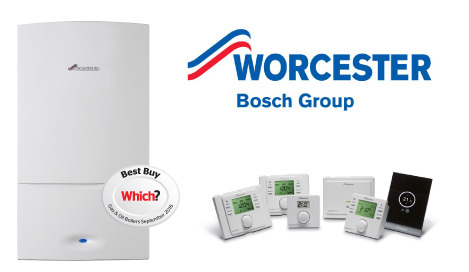 Call today to speak to an engineer about the right boiler for your home, which would be fitted by accredited installers who make can offer up to 10 years parts and labour warranty on new installations. We can offer you a 0% finance option to spread the cost over 10 months. Credit is provided by Hitachi Personal Finance, a division of Hitachi Capital (UK) Plc authorised and regulated by Financial Conduct Authority. Hartley Heating and Plumbing, 11 Chestnut Lane, Inkberrow, Worcestershire. WR7 4ES. We service all makes of boilers, natural gas and LPG, new installations and heating upgrades. Do you have cold radiators or are they simply taking too long to heat up? We offer power flushing with system filters fitted to protect your boiler from any sludge build up and improve the efficiency of your system. “Mark and Will Hartley came to our rescue and fitted a new Worcester bosch heating system in January 2017. They listen to the client’s requirements, come up with sensible solutions and then got to work as an efficient team. They both focus on the details, plan the work, are very tidy and are excellent technicians. Communication is also good. They keep you informed of progress and each step of the way up to completion. The overall finish was also to a high standard Would highly recommend Hartley Heating and Plumbing and will use them for any future work."